Ever since the inception, there have been increasing cases of the security breach in an IT organization. So, in order to overcome such security breach, it becomes absolutely necessary to use technology such as penetration testing. This technology safely exploits the vulnerable areas. Vulnerabilities may exist in the operating system, improper configuration and application flaws. The main motto of penetration testing is to analyze the related consequences and come up with a feasible solution. This software lets you know about the weaknesses in your defenses and areas with high risk. With this software, you get to know what your weak areas are and what might attack your infrastructure the most. With this, you can reduce the risk of phishing and other exploits by running the required test. This is one of the most advanced software which allows penetration testing. It is easy to use and offers multi-language documentation. With an offensive testing platform, the software is one of the widely recognized when it comes to safeguarding your infrastructure. 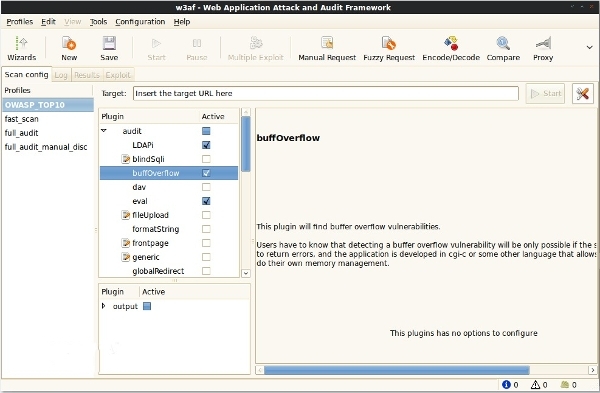 The software can be used to achieve defensive security with an offensive mindset. When it comes to analyzing network protocol, WireShark is the go to software. With the help of this software, you can see what is going on your network. This software does a very deep inspection, which lets you get an idea about the weak areas in your system. This, in turn, makes configuration easy. 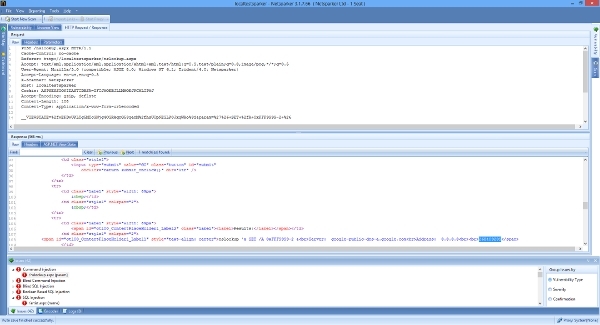 This software provides web-based application attack framework. The main aim of this software is to help you secure your system. This software also helps you secure web based application and finds vulnerabilities which need checking. Helps you reduce risk exposure by identifying vulnerabilities and acting accordingly to solve the issue. 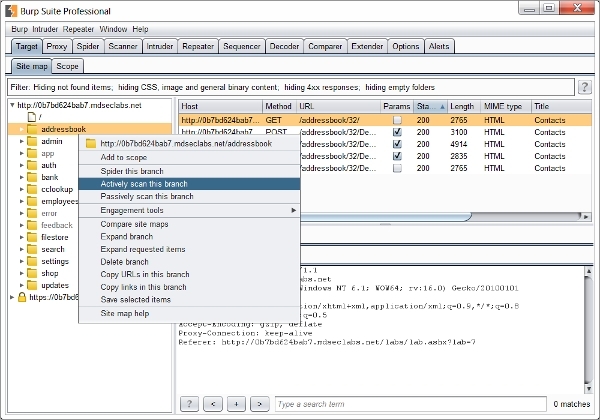 Netsparker is one of the web based application security software and has a built-in exploitation platform which performs penetration testing and confirms vulnerabilities. With versatile software like this, vulnerabilities can be eradicated in an instance. This software is easy to use and helps an organization in securing applications and infrastructure. This software has an integrated platform and performs security and penetration testing of web applications and IT infrastructure to safeguard data and money. It maps and analyzes the area of attack and provides an optimum solution. This software gives full control which in turn results in easy access and effective performance of a system. This is one of the most popular security software which is currently being used in many organizations. This software helps to automatically find the vulnerabilities in the application and system and also analyze the security breach that might have been caused. This tool is great for penetration testing as well. With the enhancement in technologies, web-based services are the perfect place for attackers to target. The security breach leads to loss of essential data and business and this is turn requires a tool to cope up with attackers. Acunetix is one such penetration testing tool and helps reduce the vulnerability in the web application. There is a lot of hype and confusion between penetration testing and vulnerability scanning. What does a vulnerability assessment actually do? Well, it only identifies the common vulnerability and reports it. Whereas, penetration testing is one which exploits these vulnerabilities to find out unauthorized access or any malicious activity that might have happened and which in turn results in hampering the system and business. Application and network penetration testing are included in this. So this penetration testing is nothing but a test that is performed on the computer system to find out the weakness and unauthorized access to the data of the system. Hence, this test identifies what the target system is and the goal associated with it. This test may be the white box and black box. The main reason to use this test is to determine the vulnerability of a system, whether the defenses are sufficient or it lacks security. These are the tools which are basically used to do penetration testing. These tools improve the testing efficiency and automate various tasks. It also helps find the issues and problems which might then be very difficult to find out with manual technique. Static and dynamic testing tools are the two different types which are commonly used. 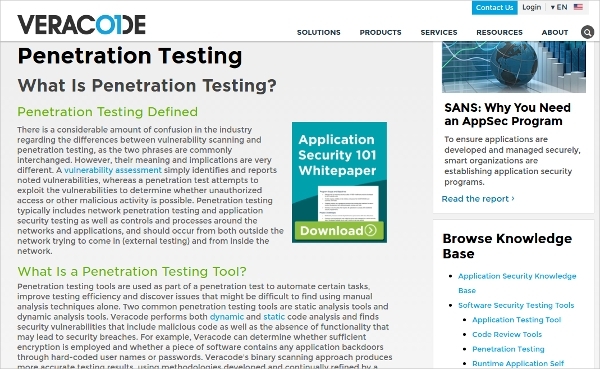 This testing approach uses human expertise despite using penetration testing tools. This test not only provides coverage for standard vulnerability, but also other designs and business logics. The compound risk is identified only by using manual testing. How Penetration Testing is Done? This testing starts with the potential areas that could cause threat and security breaches. Then these threats are ranked and given priority based on criticality. A penetration test is devised both from within the network as well as from the outside. This ensures whether the system has had an unauthorized access. If yes, then the system has to be checked and corrected according to the need. Who Can Perform the Penetration Testing? By now, you might have got that the penetration testing is completely different from the vulnerability testing. Yes, we can perform the penetration testing, but if you are not sure, then there are so many tools available which can perform the work for you. Also, there are these certified testers, security consultants and network specialists who can do the work for you. So, these tools which are mentioned above, check the weak spots and show them to you. Accordingly you can take the necessary action and make your system secure. In turn, you get a secure network which will stop any breach from happening. Or at the least it will let you know your affected and vulnerable area.